We provide forged carbon steel valves or cast carbon steel valves are manufactured out of A-105 or SA-234 WPB/F-11/F-22 materials. Forged carbon steel valves are made upto 2500. Cast Steel Valves are made upto #600. IBR or 3rd party certified Valves can be supplied. 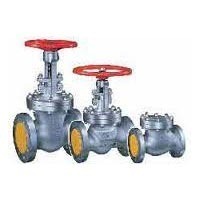 Cast steel valves are manufactured by us in carbon steel and alloy steel in specifications SA-213 WCB, SA-213/p-11/22, with IBR certifications or 3rd party inspection. Working parts are of Stainless Steel. Looking for Steam Line Valves ?